Capron Boone-McHenry Township H.S. "Vikings"
Capron, Illinois (population 961) is located in northeastern Boone County in far northeastern Illinois. The town is located about 15 miles northeast of Rockford. Illinois Route 173 is the main roadway leading to and from Capron. County Highway 2 also passes through town. 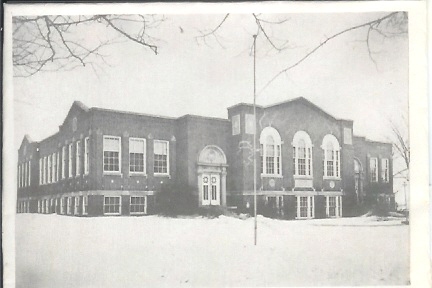 Pictured above and below is the former Capron Boone-McHenry Township High School building. 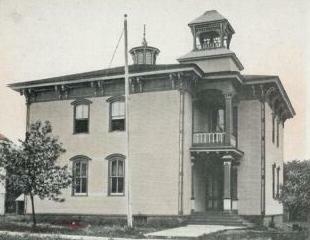 The history of the town and its former high school are in need of research. 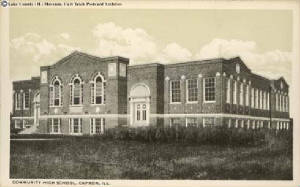 Capron Boone-McHenry Township High School was established in 1917. It served the children of Capron and the surrounding rural areas for 32 years. 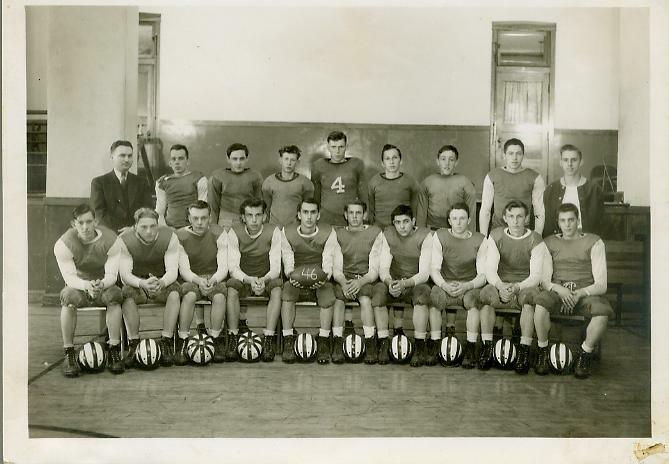 The high school teams were nicknamed the Vikings in honor of the area's close Scandinavian ties. In the late 1940's, consolidation talks began between Capron and its neighbor to the northeast, Poplar Grove. In 1949, the North Boone School District was established, ending the run for the solo high schools of each town. North Boone High School now has a Poplar Grove address. The former Capron High School building has since been razed. Credit: Lake County Discovery Museum/Curt Teich Postcard Archives. 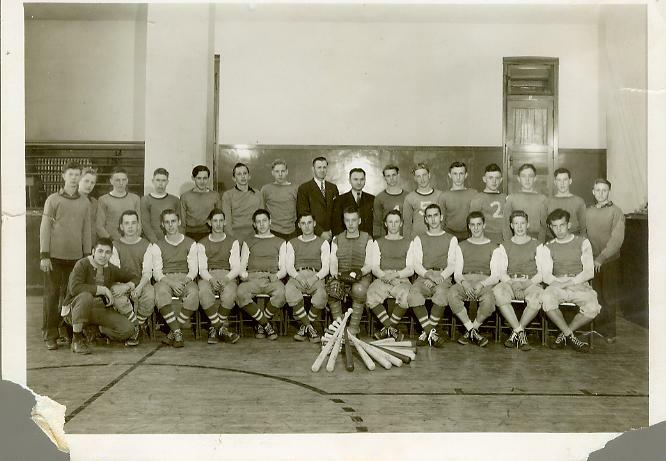 Capron offered the boys sports of baseball, football, and basketball while the girls participated in GAA activities. 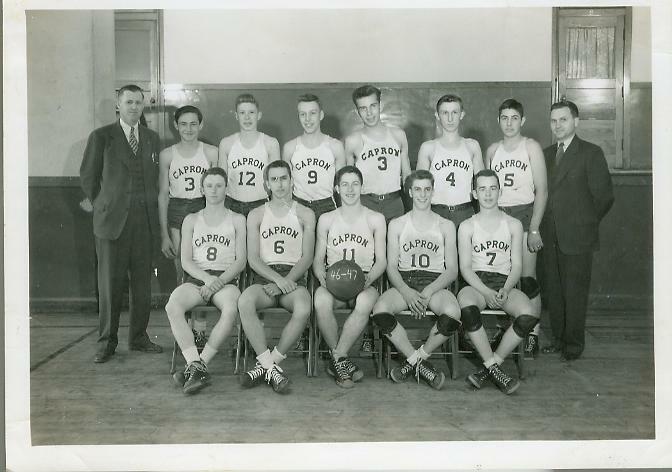 The Capron Vikings may not have won any IHSA hardware, but we are sure there were many successful seasons over the years. If you have any information on the sports program at CHS please write to us so we may share it with others. Season records and coaches names are needed for this section. The following scores were located on a website titled "Illinois Postseason Basketball Scores". **1937 through 1944 scores unavailable. St. Mary lost in title game. St. Eds lost title game. St. Eds won District title. **Final score listed for Capron on this site. Old Capron Boone-McHenry Twp. H.S.